NEW YORK, N.Y. --- High-profile Adventist Bible Bowl contestant Niv Thumper was banned from competitive play in the National Bible Bowl competitions after being convicted of illegal doping. The ban will last for seven years and was imposed after illegal substances were discovered in his leather Bible protector last Sabbath. News of the ban came as a shock to the Adventist Bible Bowl community, in which Thumper has long been regarded as a force to be reckoned with. "Today, we are reminded that you should never put someone up on a pedestal until you have done a thorough search of their Bible protector," said Bible Bowl spokesperson Skrip Tura. High-ranking church officials have been guarded in their remarks about the disciplinary action taken against Thumper. A simple statement was released, claiming that it was with great regret that Thumper was removed from competition but that "the use of mustard in Biblical competition can never be condoned." The Bible Bowl contestant “Niv Thumper” has a cool name. That may be the real problem: he’a Bible-thumping New International Version reader, when the Bible Bowl actually uses the New King James Pathfinder Edition. Anyway, too bad he got caught with the evil condiment mustard. What will it be next? Ketchup or pickles? The Constitution also guarantees you the right to a speedy delivery of your order. Was he reading “Two Corinthians”? Has anybody ever seen any actual scientific evidence that mustard, black pepper, or any of the other spices and condiments that EGW condemned are actually bad for you in any real way? I haven’t. And the Bible doesn’t say anything about the badness of mustard, black pepper, or any other spice. Everybody knows that they excite the animal passions, make hair grow on the palms of your hands, and eventually make you go blind. You’ve heard Ben Carson say “there are two Donald Trumps,” right? Well, now you know: one of them is The Donald, and one is my alter ego John Miller. Just sayin’. If this site is supposed to be for thinking Adventists, it’s a big fail. “Thinking Adventist” is an oxymoron. The early founders started to study the Bible for themselves, but then they fell into the trap of depending on Ellen White to confirm their interpretations. Soon they stopped relying on reason and Scripture and began to rely on her pronouncements and alleged visions. There was no longer room for true research, evaluation, and critical thinking. They lapsed into a robotic “thus saith Ellen” mindset. Even to this day, academic freedom among Adventist theologians is severely circumscribed by the strict and unbending parameters set in stone by the “thus saith Ellen” mentality inscribed into Fundamental Belief # 18. Despite various instances where Ellen’s pronouncements contradict Scripture, Adventist theologians’ ability to “think” is limited to debating whether Ellen meant “X” or whether she meant “Y.” They cannot explore that the Bible actually means if such exploration might discredit Ellen’s edicts. Thinking stopped where EGW began. “Thinking Adventist” is an oxymoron. ‍ ‍ ‍ ‍ • ‍ “A spirit of Pharisaism has been coming in upon the people who claim to believe the truth for these last days.… They have said, ‘We have the truth. There is no more light for the people of God.’ But we are not safe when we take the position that we will not accept anything else than that upon which we have settled as truth. We should take the Bible, and investigate it closely for ourselves. We should dig in the mine of God’s word for truth.… Increasing light is to shine upon us.…” (Review and Herald, June 18, 1888). Too bad the denomination ignores those directions from her pen, while treating everything else in her books as “gospel.” . . . . No wonder some have likened the General Conference to the Vatican. 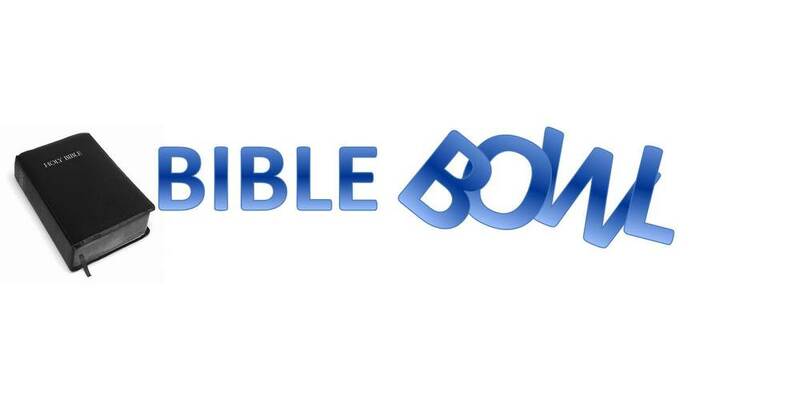 This Bible bowl guy was consuming far too many Little Debbies. Ever read the ingredient list? It’s enough to gag maggot. Maybe it was the Loma Linda so called soy extended protein products. Them ingredients might have caused the guy to have a reaction. Or was it because he was memorizing from the old reliable KJV? This requires more investigation. I say the GC set up a committee and report back at the 2020 GC session. I volunteer to be on this committee. I want certain travel, lodging and food expenses. I want a decent car rental. Stay in a quality hotel and a Golden Corral must be in the area of all committee meetings. Please advise ASAP. Poor richard, looks like you need new glasses. It says the boy had mustard, not Little Debbies. A sucker is born every minute. It’s amazing that some people will believe anything they read on the Internet, even if clearly labeled “satire”! Fix it! Tell like it is, bro.